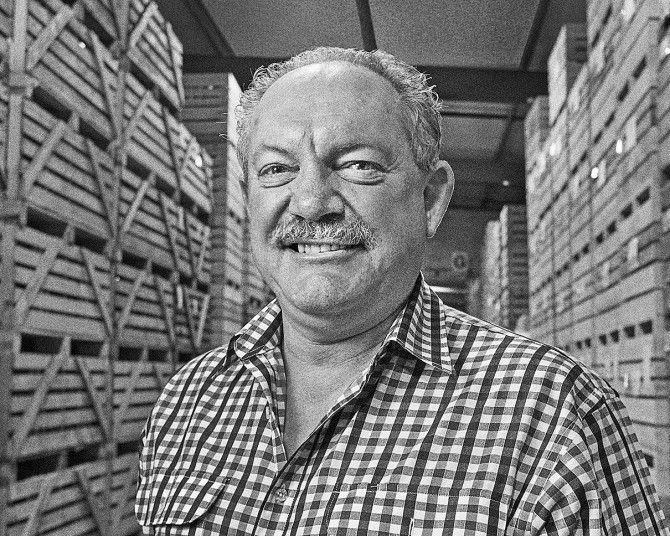 Ed Carr is widely regarded as Australia’s pre-eminent sparkling winemaker. 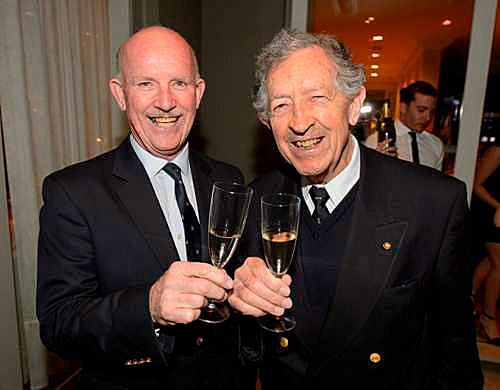 His winemaking career spans over thirty-five years, the last twenty-three with Hardys (now Accolade), where he is the chief Sparkling winemaker looking after Arras, and many other brands such as Bay of Fires, Yarra Burn and Hardys’ Sir James. 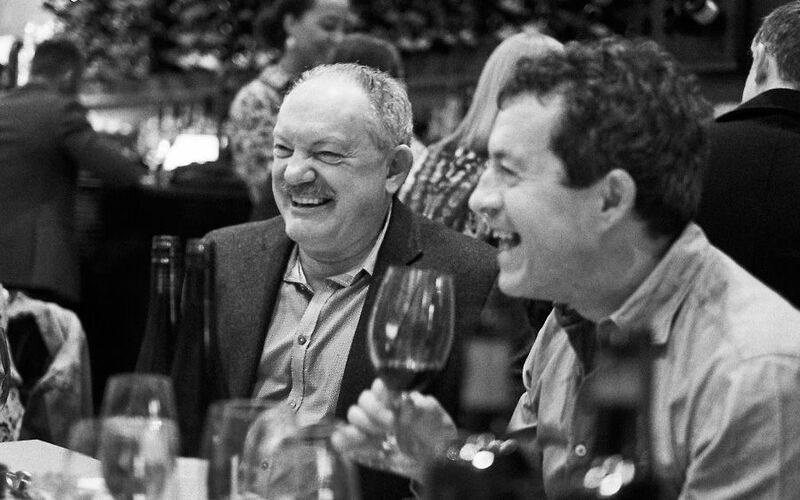 Australian Gourmet Traveller Wine magazine recognised his contribution to the industry, awarding him the prestigious Winemaker of the Year title in 2011. 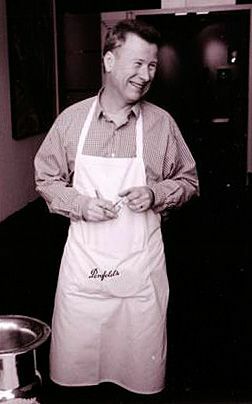 Ed graduated with an Applied Diploma in Chemistry and Microbiology in 1977. His journey into Sparkling wine started one day after a meeting with Norm Walker at the Romalo sparkling cellars at Magill. I was born in England, the youngest of four children. We left England when I was eight, my parents just decided to come here, land of opportunity stuff. 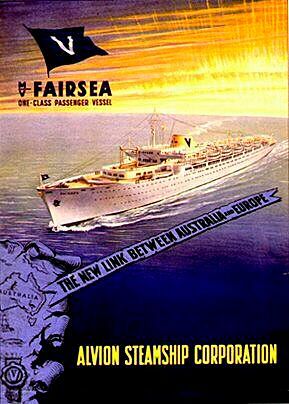 We came out by ship, the Fairsea, a six-week trip from Southampton. We settled in the ‘satellite city’ of Elizabeth just north of Adelaide, we were true 10 pound poms. What was your journey into the wine industry ? It wasn’t my grand plan, it just happened. I finished schooling at Elizabeth High, then completed an Applied Diploma in Chemistry and Microbiology at the South Australian Institute of Technology. I graduated in 1977 and began work in a dairy testing laboratory at Southern Farmers at Mile End in Adelaide. After about a year, a better paid job as a microbiologist and chemist came up in the lab at the Glenloth winery. It was a small show and by nature I just got more involved in the wines. Pam Dunsford : Photo © Bryan Charlton / The Age. 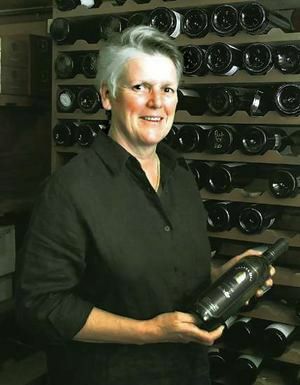 Pam Dunsford was the winemaker at the time and in over time other notable winemakers such as Robin Moody, Brian Walsh, Mike Farmilo and Peter Taylor also worked at this winery. Glenloth was owned by Wynn Winegrowers and was rapidly expanding sparkling wine production with the Seaview Label which at that time was made by the traditional method. I knew nothing about secondary fermentation, back then it was very basic compared to what we do now. Perhaps it was destiny, being in the right place at the right time. I did fix it apparently, and at the same time became an Assistant Winemaker, this was the late 70’s. Then Penfolds came in and bought Wynns. They decided to relocate the sparkling wine making to Nuriootpa, that’s when I started working more closely with winemaking for the Seaview /Killawarra brands. John Duval at an early Penfolds recording clinic. It was 1986 when the move of the sparkling cellars to Nuri was completed and I went up there as ‘Traditional Method’ Cellar manager. I took over the senior winemaking roles for all of the sparkling wines for the group. The group was fairly big for those times with the well known brands of Seaview, Killawarra, Minchinbury and Kaiser Stühl. White wine in Australia, especially sparkling, hadn’t really made it’s mark. I thought there was a real opportunity for sparkling by moving to the key varieties in cool climate areas. There was certainly scope for a lot of progress back then, but I didn’t envisage it going this far, it’s been an amazing journey. Did you ever study winemaking ? I started but never finished the Wine Science Degree at Charles Sturt University. With vintage, production commitments and a young family, it got all too complicated. I thought at the time, I’ll get back to that one day but I never have. I approach winemaking with very much a science background, and we base a lot of our blends on the short history we have. I don’t see it as any magic, just people doing the right thing with knowledge, we’ve learnt so much more over time. The Accolade ‘Bay of Fires’ winery home to the ‘House of Arras’ in Tasmania. You have been with Hardys (now Accolade) since 1994, how did that come about ? In 1993 the decision had been made to take all the Penfolds sparkling wine production to Great Western. I’d been talking to Tim James at BRL Hardy. Sir James Hardy with Bill Hardy. Photo © Dominic Lonergan. They had the ‘Sir James’ brand, which was absolutely booming. Tim and Peter Dawson were keen for me to join Hardys and help expand the sparkling sector of the business, it was a great opportunity. I decided to leave Penfolds and joined Hardys right on vintage in 1994. 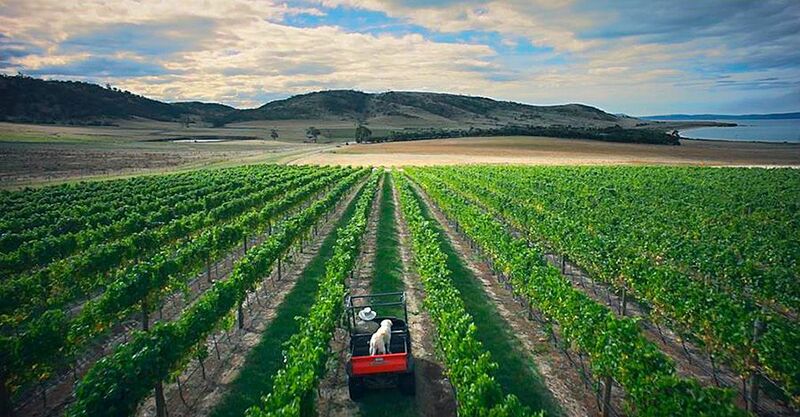 My brief was to establish the company as one of Australia’s leading sparkling wine producers, with a portfolio of products that covered all market segments, from the best expression of cold climate sparkling to affordable commercial styles. Hardys were very keen to produce premium sparkling and bought into cool climate areas with vineyards at Hoddles Creek in the upper Yarra Valley. 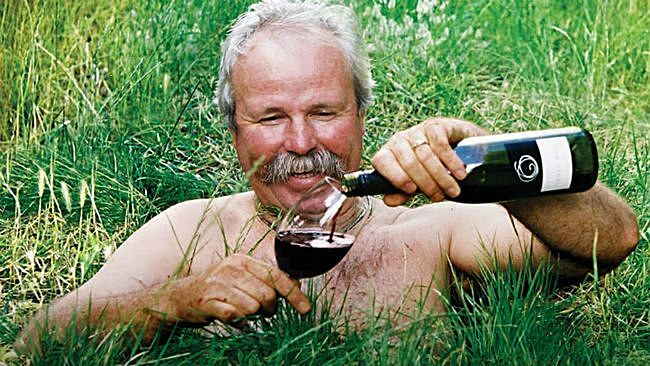 The premium sector in those days was being led by the new wave of cool climate wines and Hardys wanted to be a part of that action. This was the start to the cool climate expedition which led to Tasmania and Arras. Ed Carr in the Bay of Fires vineyards at Pipers River Tasmanian. What’s your role at Accolade ? I am the Group Sparkling Winemaker for Accolade Wines Australia and I am fortunate to work with a great team of talented sparkling winemakers and viticulturists. Together we work toward maintaining and evolving the styles and quality of all the brands and labels. Arras holds a fond spot, it’s been with me since 1995 and has certainly exceeded my initial expectations, it’s exciting to think there is more evolution to come. Arras was one of the first Australian sparkling wines released after considerable time on lees, when was that ? We released our first Arras with Tasmanian and Yarra Valley fruit in late 1999, it was the 1995 vintage, so it had barely 4 years on lees, this was considered a long time back then. Our first Tasmanian wine was from the 1998 vintage and Arras has been a Tasmanian brand ever since. It started with one blend which was Chardonnay/Pinot noir (now the Grand Vintage label) and the brand has evolved to six distinct wines. 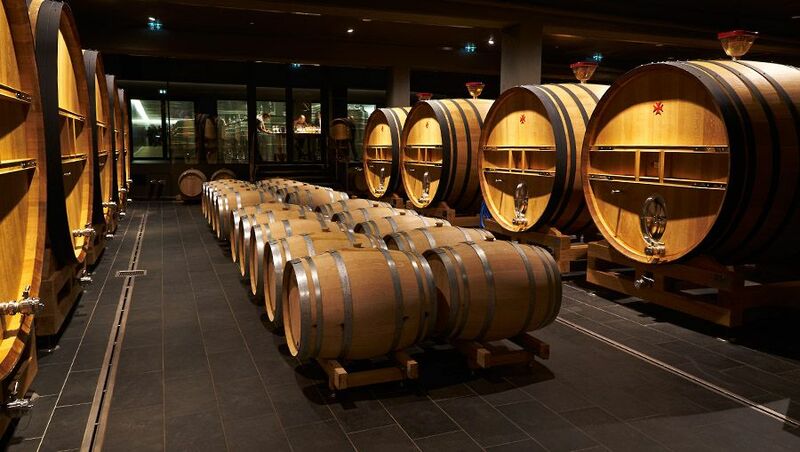 Over the past 20 years we have grown in confidence of the longevity of these wines and have moved the maturation policy of the entire brand to align with the best wines around the globe. Our current ‘EJ’ is a 2002 vintage. Where did the name come from ? The name resulted from an internal company think tank, if you look it up in a dictionary it’s definition is ‘an intricate or rich tapestry’. It’s a great name that suits our winemaking philosophy well. 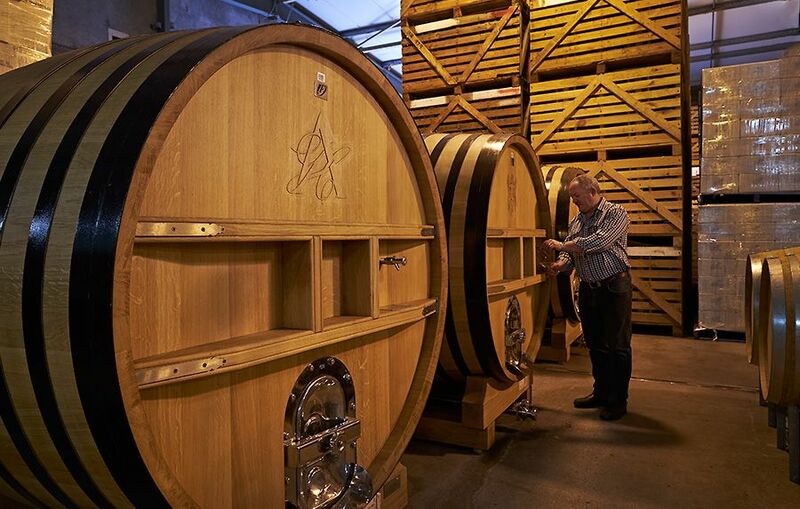 Part of the Arras reserve wine pool cellared in Foudres at Hardys Tintara cellar McLaren Vale : Photo © Milton Wordley. What flavour profile or house style are you trying to achieve in Arras, across the range ? 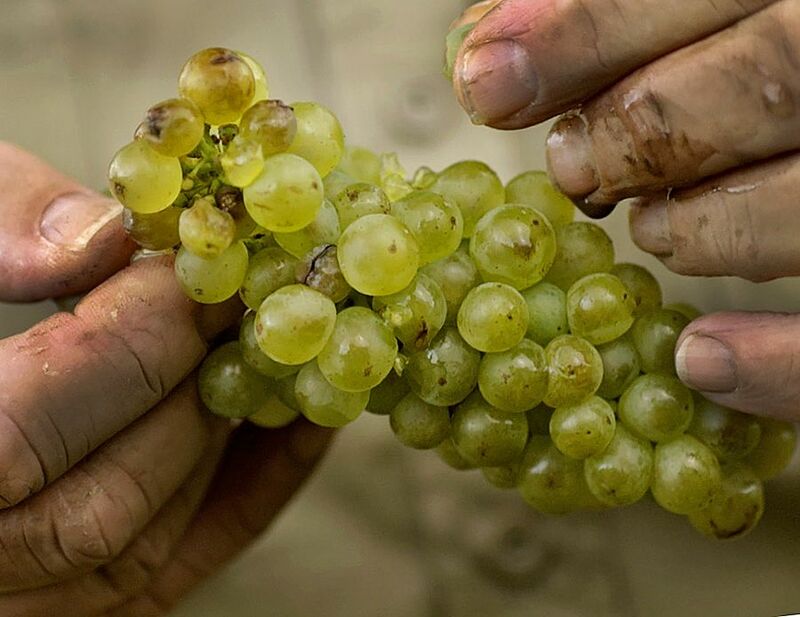 We don’t want shy wines, we strive for complex wines that are rich and flavoursome but also bright and fresh. Chardonnay grapes ready for crushing. This is achieved by selecting from all the classic steps of premium sparkling winemaking. For Arras this is quality Tasmanian fruit, malolactic fermentation, partial maturation in barrel and a long time in tirage. We are currently building a reserve wine pool but the maturation is predominantly from time on lees in tirage. The answer is simple, we are not. 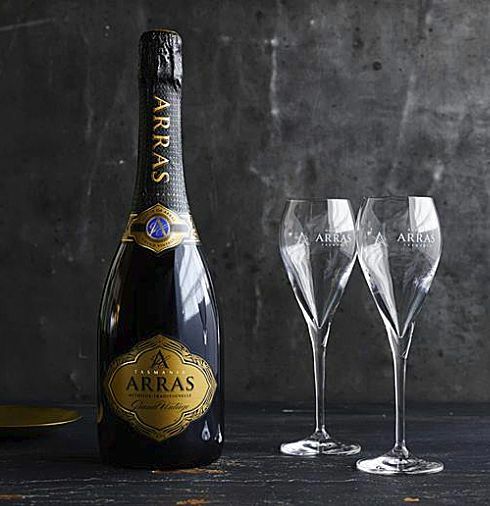 Arras is our interpretation of premium sparkling wine from Tasmania. You live in South Australia, but the Arras fruit is Tasmanian, what’s so special about Tassie ? I first went to visit Tasmanian vineyards with Rob Gibson (a Penfolds viticulturist at the time) in 1988. Last year I was doing some research for a technical paper I presented at the 2016 AWITC. I was amazed that in 1988 there was only 46 hectares of wine grapes planted in Tassie, it was really a pioneering spirit at that time. When Rob and I were in Tassie in 88 we collected a few table wines, pinot and chardonnay plus some sparkling wine and took it back to the Penfold boys in the Barossa. I know they all think very differently now, but it was quite a while ago. There is now around 2000 hectares planted in Tasmania. We need the best cool climate fruit we can get to produce the style of wine for Arras. There is this cool climate debate about altitude or latitude. I believe latitude works better for us in the style that we make. 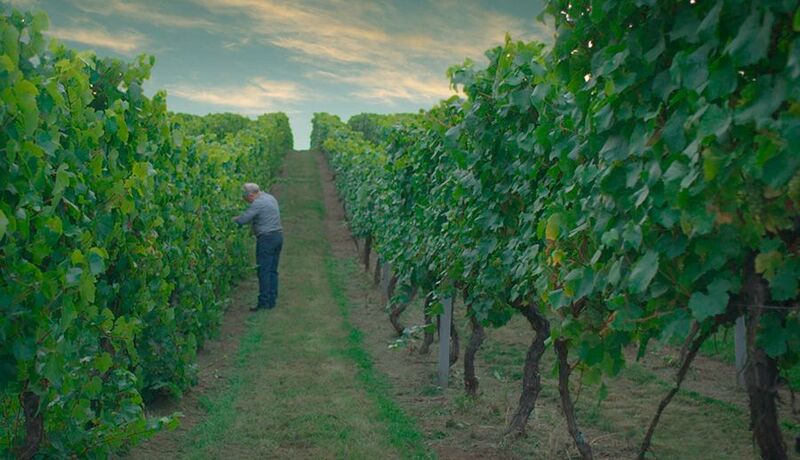 Ed has a drive around Jack Cotton’s Kelvedon vineyard at Swansea. Where do you get your fruit from in Tassie ? We source fruit from many of the recognised areas throughout Tasmania ,the Upper Derwent, Lower Derwent, Coal River, East Coast, Pipers River and Tamar. 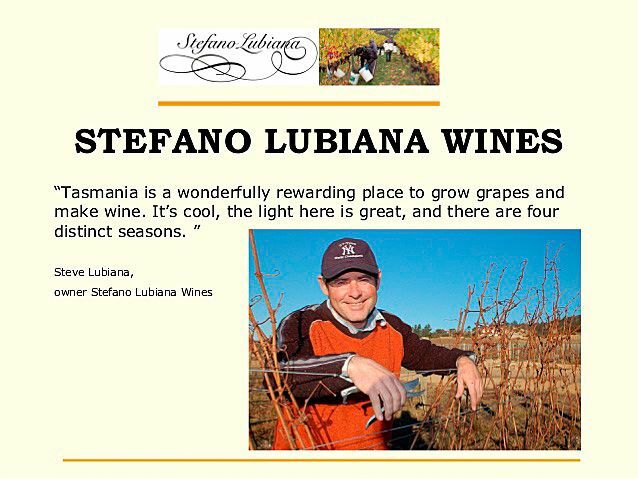 Stefano Lubiana an early Tasmanian winemaker. We know where each of these sits within our brand and we work closely with our growers to optimise the quality of each vineyard. A lot of our growers are wine people, they like wine. Some make their own wines from their own vineyards. I’ve been to certain events where people say quite proudly their fruit goes into Arras…. it’s great to know the brand now has that level of prestige . Quality wine is all about quality fruit. Do you think you’ll ever introduce a sparkling red to the Arras range ? I don’t think so – Arras is all about the best of Tasmania. – regions like Great Western, Beechworth, Clare and maybe Frankland River. Influences or people who have inspired you ? So many people have… it would be wrong to name anybody in particular because, that just leaves so many out. However there are a couple of pioneers in the Tasmanian wine game who I’d like to mention. 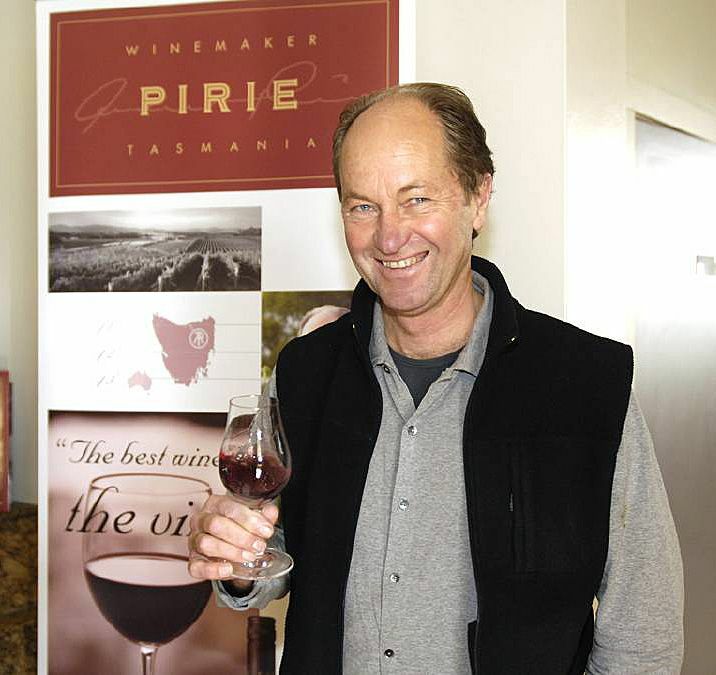 Dr Andrew Pirie, who did so much climate/terroir analysis and chose Pipers River to plant a major vineyard. Stefano (and Monique) Lubiana is another one who has taken a leap of faith and established a great brand . I worked with Ray Guerin for many years, his knowledge of cold climate viticulture was a key for the development of Arras. Peter Gago’s another one, we worked together in sparkling wine at Penfolds for a while, his passion for wine, motivation and knowledge of global winestyles was instantly inspiring. He started me thinking there was more to winemaking than science. Ed and Peter Gago keep in touch regularly : Photo © Milton Wordley. Lewis Hamilton celebrates on the podium after winning the Chinese Grand Prix . It’s the expectation of quality and the history. It’s the accepted wine of celebration, an amazing international marketing story. Champagne has that uniqueness which is from it’s terroir. It’s unique with the right varieties in the right area, built up over time. However the wine style is immensely variable depending on the house and individual label. Lanson Cellars in Champagne : Photo © Milton Wordley. Australia with it’s small population is a major importer of Champagne (6th in the world). How do you go about educating the Australian wine consumers to Australian sparkling ? You are right, it’s about changing the expectations of the consumer. I think for a long time there’s been a belief in Australia that our sparkling wine doesn’t hold up internationally. I guess if you want to be up there on a global quality basis you need to be very aware of the competition. We should give Australians who buy a Champagne for a celebration and might normally spend over $40 on a sparkling, the opportunity to have a look at some of the more high end Australian sparkling wines. I’d like to see sparkling wine purchased on style/quality rather than country of origin. Educating Australian consumers is an ongoing process. 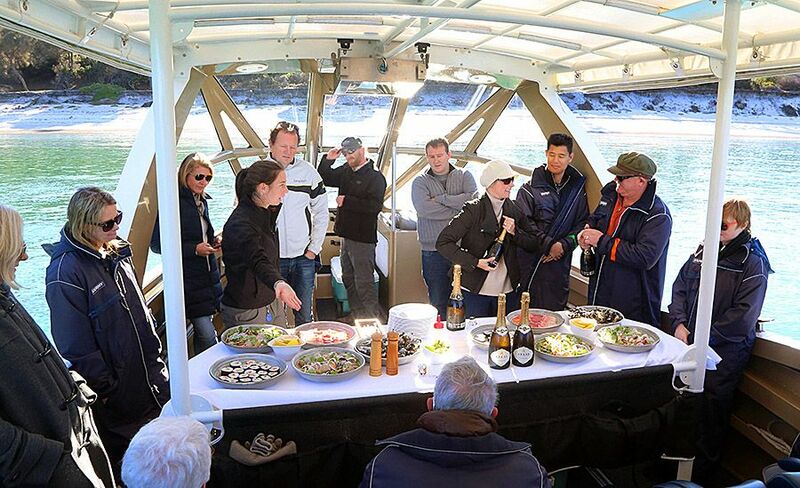 I was part of the inaugural Sparkling Saffire Weekend in Tasmania with Tyson Steltzer recently. Ed presenting at the inaugural Sparkling Saffire Weekend in Tasmania early this year : Photo © Tyson Steltzer. It was an example that typifies all that’s good about champagne and other sparkling wines. One of the things most Australian wine consumers, and I’m not talking about the small percentage of wine connoisseurs, don’t realise is that most Champagne houses market their wines well above the legislated age and the better NVs and Vintage wines are released at 3 years and 6 to 8 years respectively. I think for Australian premium sparkling wines to be truly world class then they need to be released at similar ages..
Arras does well in the show circuit, is that important ? 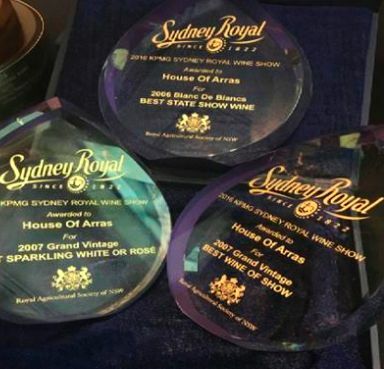 House of Arras Sydney Royal Wine Show trophies. We are delighted by all third party endorsement and support we get, it’s all part of earning credibility and market share. 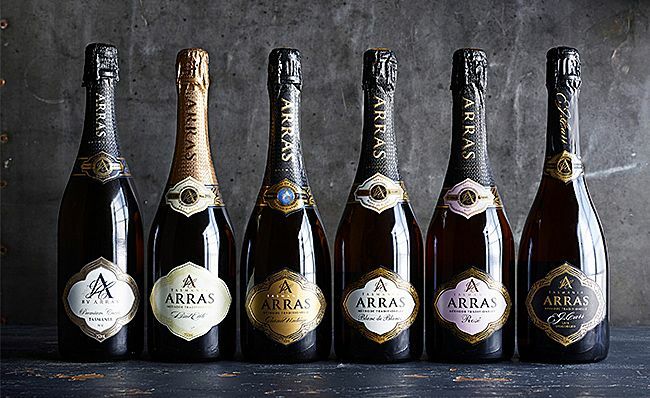 2016 was particularly exciting, the 2007 Arras Grand Vintage was awarded the ‘Wine of the Show’ at the Brisbane, it was the first time a sparkling has achieved such recognition. A month later the same wine had a repeat performance at the Sydney show. I think these two awards say that Australian premium sparkling wine has come a long way in quality. Like to say anything about the the future direction of the wine industry ? The 2007 ‘Grand Vintage’ best wine of the 2016 Brisbane and Sydney Wine Shows. The premium sparkling wine sector has matured with many quality brands and unique house styles which give the consumer great choice. 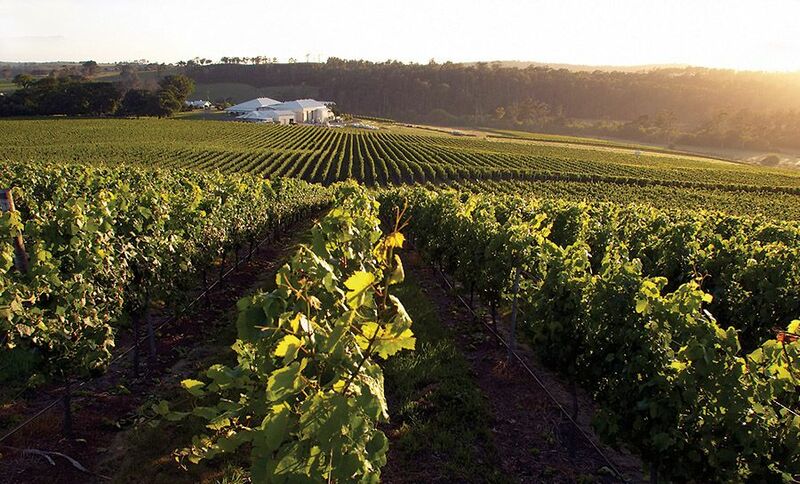 The global demand for premium wine is reassuring and I hope Australian sparkling wine will continue to grow in this market – the quality is certainly there to do so.